Is hiking or treking a passion? A trip to Nepal is a "must do" at least once in your life. 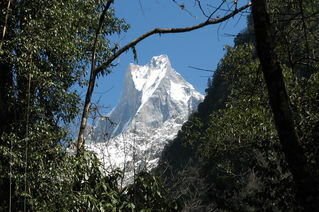 Itrek Nepal offers a range of trekking adventures to suit people with a range of abilities. Trips have varying degrees of difficulty, and can be arranged for whatever length of time you choose. You can travel on scheduled departures, alone, or with your own group. Everything between airport arrival to your departure can be individually planned for you. 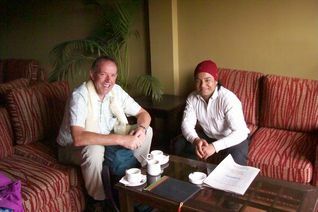 George, the founder of iTrek New Zealand travelled with iTrek Nepal in February 2011. He completed the Annapurna Sanctuary trek, spent some time in Citwan National Park, and visited a number of farms. It was the trip of a lifetime for him, and he can recommend iTrek Nepal as a very professional company, with excellent staff and guides. The staff are extremely helpful, while the guides are friendly, knowledgeable and will go out of their way to make your trek memorable. As for Nepal - You may go once, but the lure of the mountains and the people will tempt you to return.